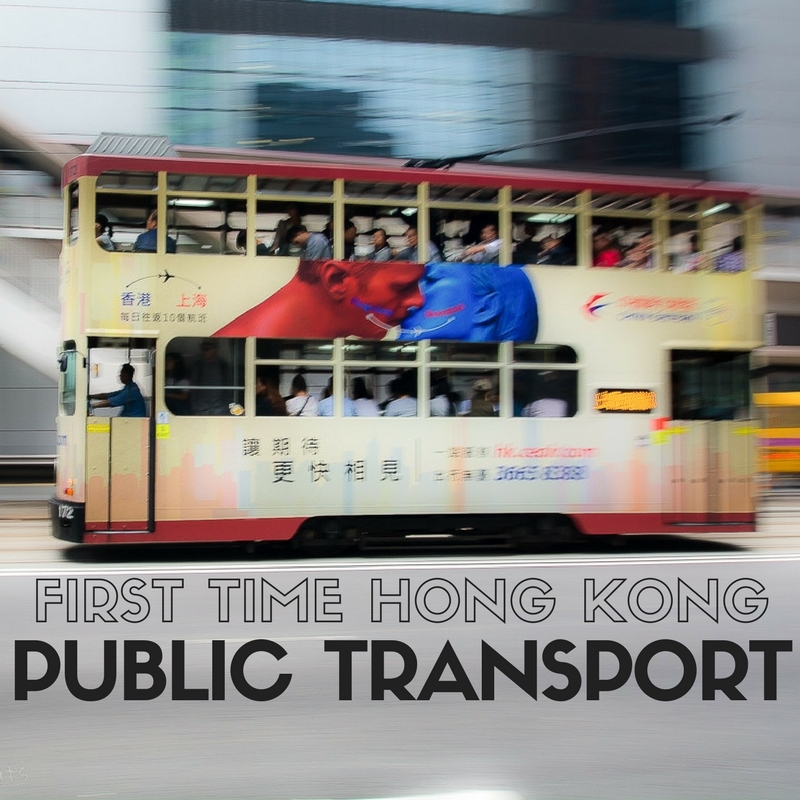 Once you have mastered public transport in Hong Kong you can explore with ease. It is a frantic city but once you get the hang of the incredible transport system you’ll be exploring like a pro. Hong Kong International Airport is huge, but fairly welcoming and easy to navigate. Depending on your arrival gate you will either have a short walk to immigration or you may have to jump on a quick train. It is all extremely intuitive and you just follow the crowd. Immigration is straight forward and most nationalities can come in without a visa for 90 days. Photo Source: South China Morning Post. From there you collect your bags and head into the arrivals hall. There are customs as you exit, but I have never seen anyone stopped. We have been known to bring in cases of wine, vegemite and fresh fruit on our way back from Australia! As you exit there are ATMs, Travelex currency exchange, 7-Eleven and a number of eateries if you desperately need food before heading into town. Once you are out follow the signs to the taxi queue or the Airport Express train. It usually takes about 30-40 minutes from the plane landing to walking into the arrivals hall. 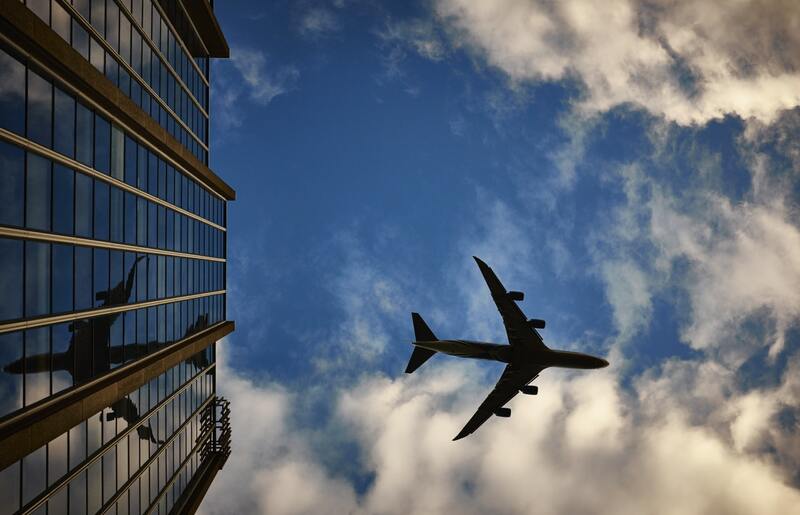 The Airport Express is the easiest way to get to and from the airport. You don’t even need to leave the terminal building and don’t need to worry about traffic. Exit the arrival hall, look for the Airport Express signs or “Trains to the City”. Trains depart every 7-8 minutes so you never have to wait long and then it is just 24 minutes to Hong Kong Station (the last stop). 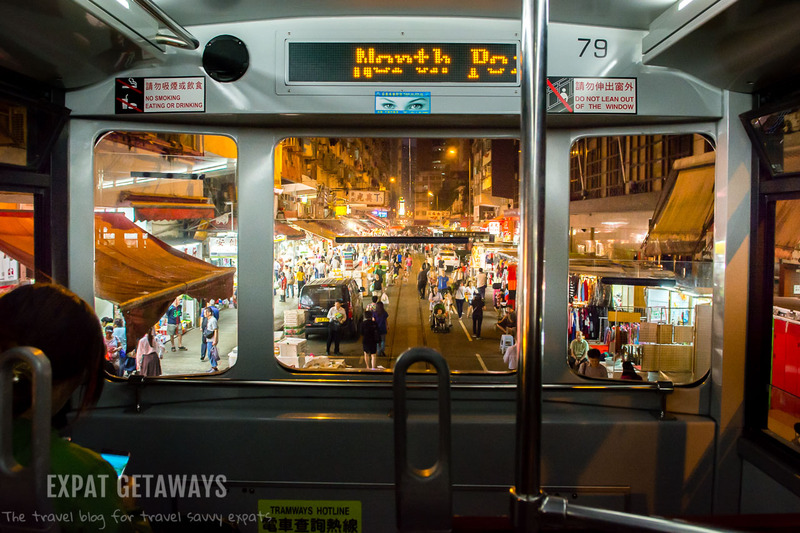 There are two stops on the way – Tsing Yi and Kowloon. All the signs are in English and so are the announcements on the train. Once you arrive there are free airport express shuttle buses to a number of local hotels and a taxi rank directly opposite the exit. Follow the signs to the taxi rank. Red taxis will take you anywhere in Hong Kong and blue taxis only operate on Lantau Island. 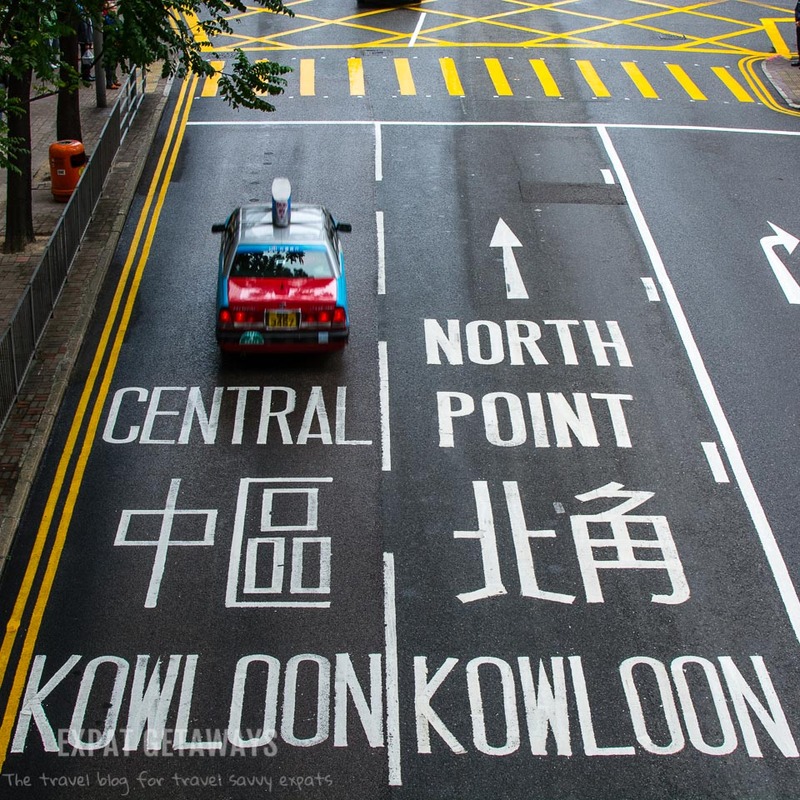 A taxi to Kowloon side will cost approx. $250-300 and to Hong Kong Island $300-350. All taxis are on the metre starting at $24 and will charge you $6 per piece of luggage. 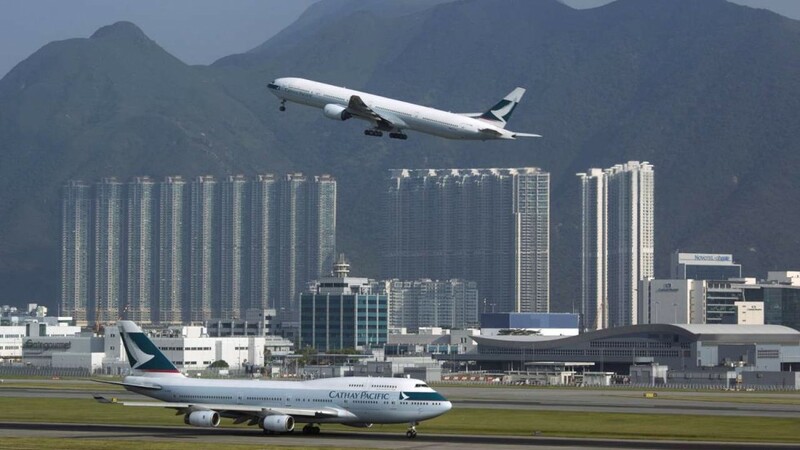 If you are transiting in Hong Kong but have more than eight hours between flights seriously consider storing your bags and heading into the city for a few hours. You can store your bags at the airport or at the Airport Express station in Hong Kong or Kowloon. 1-1.5 hours to disembark, clear immigration, store bags and catch the Airport Express to Hong Kong (that’s allowing extra time to get slightly lost along the way). 30 minutes on the Airport Express back to the airport and arrive two hours before your flight. That gives you at least four hours to explore the city on an eight hour layover. If you’re worried you can hire a guide to meet you at the airport, cram in as many sights as possible and get you back in time for your connection! Check out Hello Hong Kong for all the details (you might even get me as a guide). 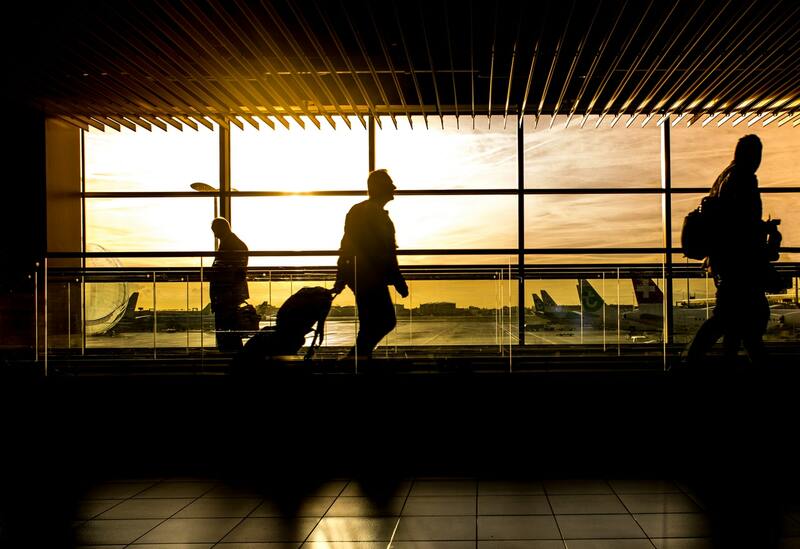 Arriving at the airport two hours before your flight will give you plenty of time to check-in, clear security and immigration and find your gate. If you are catching the Airport Express there is a convenient in town check-in at both Hong Kong and Kowloon stations. All the airlines have a desk and just like you would at the airport you drop your bags off and get your boarding pass. The best part is you can do this up to 24 hours before your flight. Drop your bags off in the morning, store your carry on and spend your last day sight-seeing. When you arrive at the airport you skip the check-in queues and go directly to security and immigration. Security and Immigration are very efficient at Hong Kong International Airport. In peak times allow 20-30 minutes, but normally I’m through in 10-15. **Flying to Australia** This is a bit of a random one, but as you board your flight to Australia your bag will be checked by security AGAIN on the aerobridge. They will your water off you here, even if you have purchased it in the airport. Do yourself a favour and bring an empty bottle that you can ask the flight attendants to fill for you. 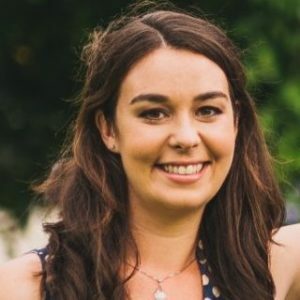 Why only Australian flights? No idea! There is free airport wifi in arrivals and departures as well as on board the Airport Express. This is the best option when visiting Hong Kong. 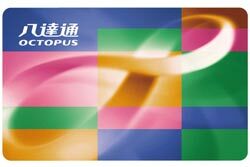 Save yourself time and money by buying an Octopus Card immediately when you arrive. Pay $150 ($50 deposit, $100 credit) at the ticket counter of any MTR station or at the airport and you can tap and go on trains, buses, trams, ferries, 7/11, Starbucks, McDonalds and more! Value can be added at MTR ticket counters, “Add Value” machines in the MTR or at 7/11 or Circle K. Just tell them you want to add money to your Octopus, tap and go. You can only pay for your Octopus card and add credit using cash so make sure you’ve got some $HK with you. When you leave Hong Kong return your card to the MTR ticket counter and they will refund your deposit as well as any credit left on the card. SIMPLE! This card operates like an Octopus, but it CANNOT be used everywhere UNLESS you add extra credit. 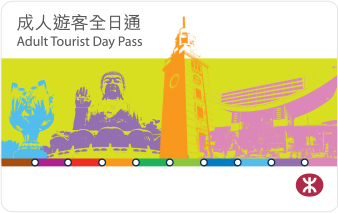 It includes your Airport Express ticket and 72 hours of travel on the MTR only. Cost- $250 for one way Airport Express, $350 for a return ticket. You can however add extra credit and use this in the same way you would use your Octopus- on the Star Ferry, Peak Tram, ding dings and buses. Return the card at the end of your trip and collect any remaining value and your $50 deposit. For $65 you get unlimited travel on the MTR only. No buses, no trams, no ferries. Unless you are doing a serious amount of commuting this is not good value. A single ride on the MTR ranges from approximately $5 for a couple of stops, $12 crossing the harbour from Central to Tsim Sha Tsui or $25 to go all the way out to the New Territories from the city. You buy these tickets from machines or the ticket counter in the train station. You will need cash and if using the machines small notes ($10 and $20) and coins. These are convenient if you aren’t travelling much by public transport, but do require time and effort every single time you travel. The MTR or Mass Transit Network is amazing! It is like the London Tube or New York subway only better. Yes it is busy, but it is also clean, air-conditioned and the quickest way to get around the city avoiding traffic. On the Island Line trains come every 2-3 minutes so you are never waiting long. Never bother running for the MTR because the next one won’t be too far away. Like most cities it is busiest from 7:30-9:30am and again in the evening from 4:30-7:30pm. If travelling during these hours you might sacrifice some personal space, but you will get from A to B quickly. If your journey requires you to change trains, this is easy too. In most cases the platforms line up so you literally walk from one side to the other to get your connection. 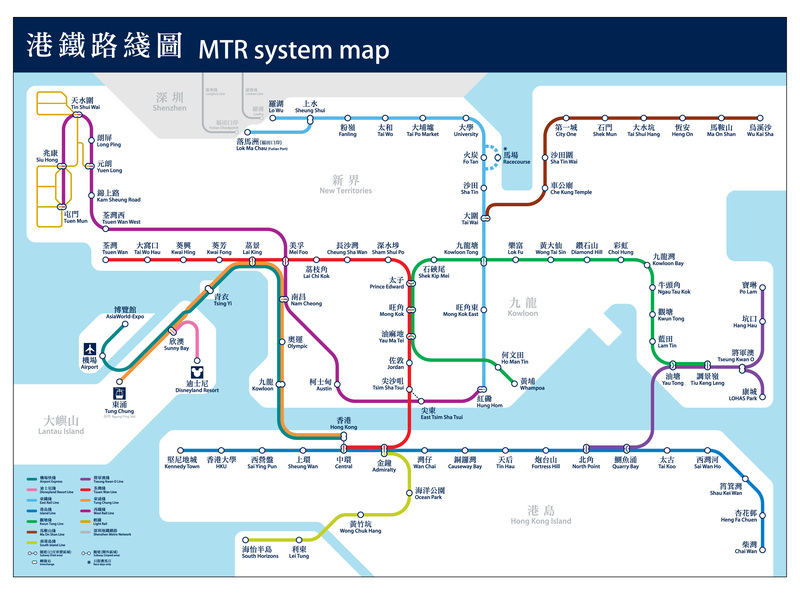 While you get the hang of it try out the MTR planner. These are my favourite way to get around the city. The ding dings aren’t the fastest way to get around, but they are the most scenic. 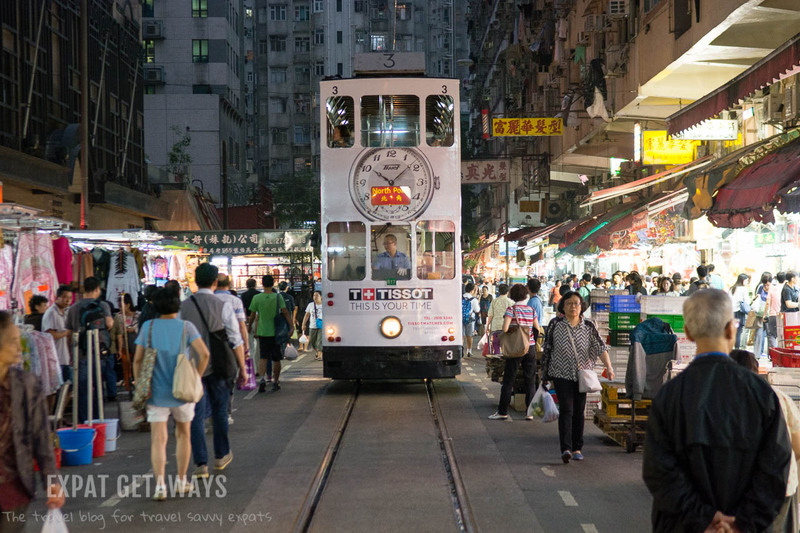 Trams follow one line along Hong Kong Island. They connect Kennedy Town in the west to Shau Kei Wan in the east. Some will stop earlier (Western Market or Sai Wan going west or Causeway Bay or North Point heading east) but don’t worry about this unless you are venturing past the usual tourist haunts. Some will loop into Happy Valley behind Cauesway Bay and Wan Chai. Each ride will cost $2.30 no matter how far you go and you can use your Octopus or cash. Pay when you GET OFF the tram. If paying cash they won’t give you change so have as close to the correct amount as possible. My favourite spot is to head upstairs and sit at the very front or very back to watch the world go by. 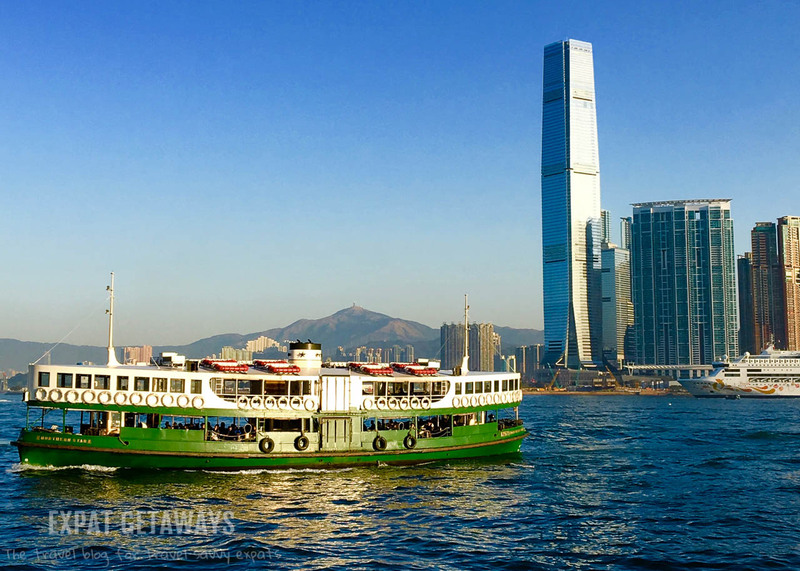 You can’t leave Hong Kong without riding the iconic Star Ferry across Victoria Harbour. For $2.50 during the week and $3.40 on weekends this is the cheapest harbour cruise going around! Ferries connect Tsim Sha Tsui on the Kowloon side with Central and Wan Chai on Hong Kong Island. There are departures every 5-10 minutes. Like the ding ding, it’s not the quickest way to get around, but it is the most scenic. Get a seat by the window and enjoy the view. With just a quick ferry ride you can be out exploring Hong Kong’s outer islands. From the Central Ferry Piers you can get to Lamma Island, Cheung Chau, Peng Chau and Lantau Island. 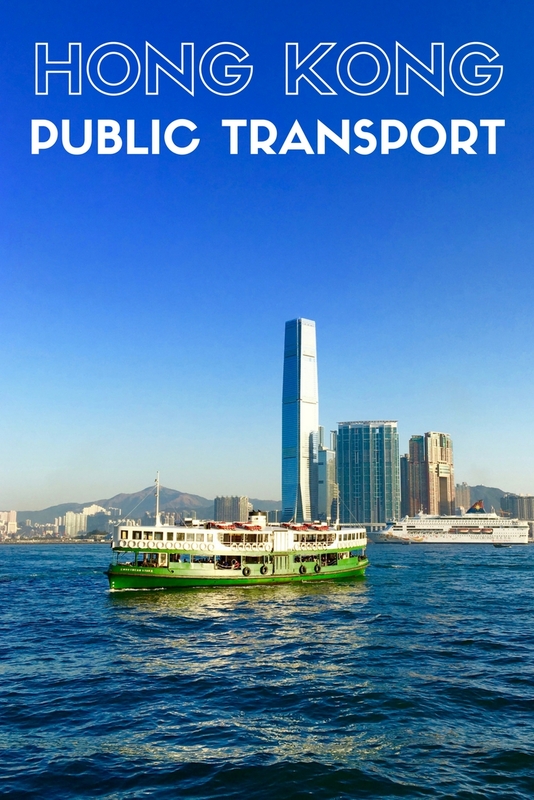 Buses are a great way to get to places not connected easily by the MTR (like Stanley and Repulse Bay). Big buses and green minibuses travel along a set route for a set price. Simply tap your Octopus when you get on. Red minibuses or Hong Kong race cars are a bit more complicated. They have a set departure and arrival location, but the route and fare depends on the driver and the passengers who call out where they want to go along the way. No octopus for this one, you’ll need cash and a bit of bravery! 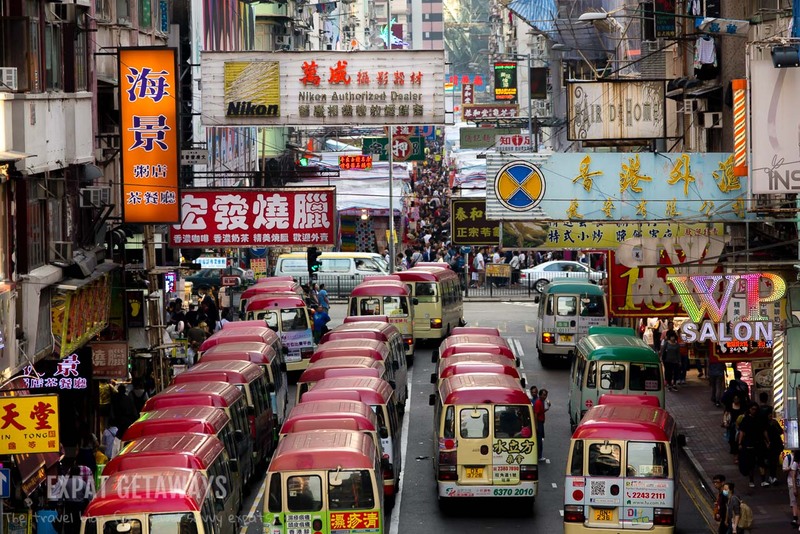 There are three coloured taxis in Hong Kong: red, blue and green. All Hong Kong taxi fares are set by the Hong Kong Transport Department and taxis use a meter. DO NOT get in a taxi that refuses to use the meter or asks you to pay a set fare. These cover all locations in Hong Kong. They charge $24 for the first two kilometres and $1.70 for every 200 metres or 1 minute of waiting after that. They’ll also charge you $6 for every piece of luggage. There are also charges for crossing the harbour through one of the three tunnels or travelling through a toll. Tolls are payable by the passenger + $10 for the taxi to return. If in doubt about the final fare ask for a receipt. This will have a breakdown of the charges and the taxi number on it for any complaints or questions. Only operate in the New Territories and CANNOT travel to Kowloon or Hong Kong Island. They charge $20.50 for the first two kilometres and $1.50 for every 200 metres after that. Same rules apply regarding luggage and tolls. Only operate on Lantau Island. They charge $19 for the first two kilometres and $1.50 for every 200 metres after that. Same rules apply regarding luggage and tolls. Most taxi drivers will speak some, but limited English. It is always good to have Google Maps handy with the location you are travelling or a Chinese translation. There is a handy app that can be purchased for $HK8 called Hong Kong Taxi Translator. 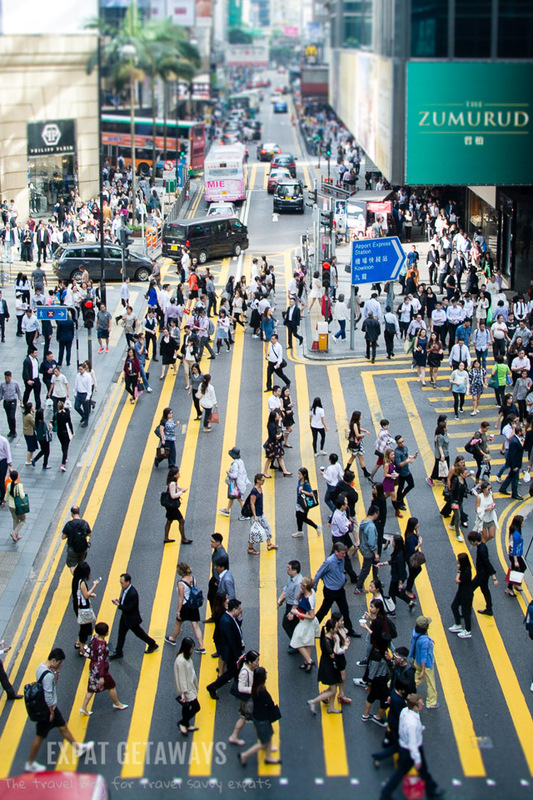 Uber is becoming more common in Hong Kong, but prices for short journeys are comparable or more expensive than taxis, often inflated with surge pricing and drivers not always familiar with the best route. It is good for travelling long distances or if you have more than four people and need a bigger vehicle. Expat Getaways endorses a policy of full disclosure. This getaway was not sponsored or paid for by any company mentioned, and all views and opinions are solely those of the author.